MARK: I am methodically going through our product documentation, replacing standard computer terminology with silly, meaningless drivel. 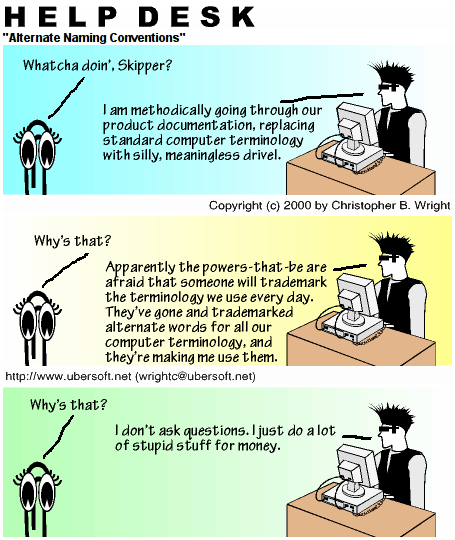 MARK: Apparently the powers-that-be are afraid that someone will trademark the terminology we use every day. They’ve gone and trademarked alternate words for all our computer terminology, and they’re making me use them. MARK: I don’t ask questions. I just do a lot of stupid stuff for money.